UPDATE: Bumper has been rescued, and Teka got a few days reprieve. 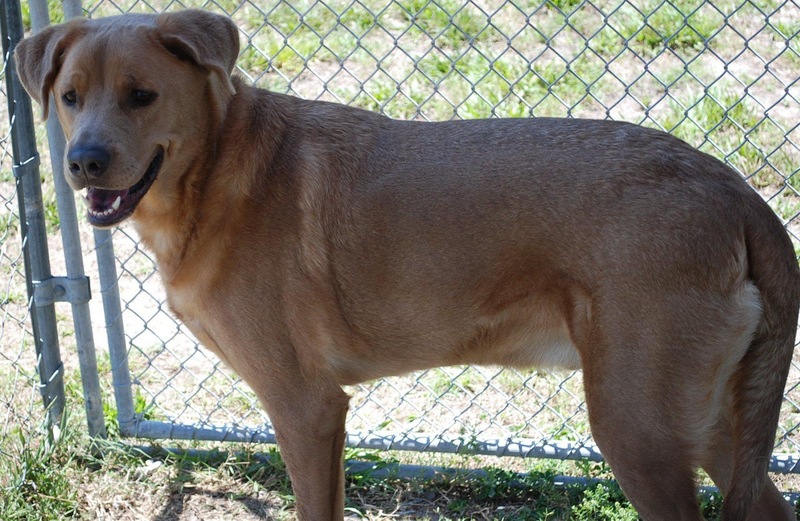 Marley was euthanized. :( But they still need help. Please spread the word! I grew up in Pasco County Florida so, as my Facebook and Twitter peeps know, I will often post pets that need help from the animal shelter there. Well, now those pets need more help than ever. Pasco County is in a capacity crisis. They've gotten dozens of dogs in the past few weeks and they can't keep them. Some 133 dogs are currently are at the shelter. There are many rescues in Pasco, but not enough people to adopt or foster. The situation is so bad that one of the local TV stations actually did a story about it. You can read the story and see the video on the WTSP website by CLICKING HERE. Several dogs will be euthanized Wednesday if they do not find homes. Cats, meanwhile, could be killed at any time, because cats in the shelter are a larger problem, so there is no holding period for them. 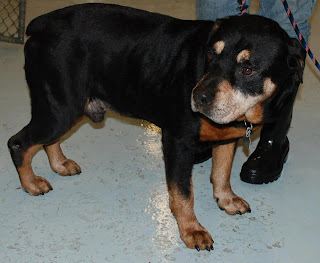 Bumper, a rottie mix who was overprotective of his owner's child. Marley, a retriever mix who was surrendered when his owner went on active duty. In all of these cases, the animals are showing aggression, or were quarantined for a bite. But in many cases the volunteers say the animals are just scared, and need help. I hope they can be saved and found there forever homes soon, if more people spayed and neutered we wouldn't have this problem. Well and we have a lot of dogs in Pasco County who are abandoned or not properly trained. It's a big problem there. Pasco County is quite a mess. The shelter is remote and tough to get to. The hours are not conducive. Small budget. And there are lots of strays. That is so sad. I hope they get pulled. I posted about Marley on Dogs On Deployment. It is heartbreaking when dogs are judged just for being frightened. I know. I don't know how these animal control officers are trained. I don't know if it is too late to do this for your dogs that you posted about. On FB it said they weren't being euthanized until Saturday now but I don't know how true that is. If you know different please let me know. This is the comment I left with the others: I have found out that if you share on facebook you don't get as many views as if you post it yourself. I am thinking about doing a post on my blog at the end of the week featuring all of the dogs and cats that were on Tuesday's Tails, linking to each of the other bloggers and then posting each one separately on facebook. What do you think and if you are okay with this please let me know by commenting on my blog! That way I will get the reply and will know if it is okay to put your featured animal in my post! I think doing a full share at the end of the week on your blog is wonderful and linking to Facebook. A friend reposts our church FB entries on her page for just this reason - they get more attention. Thank you for this link.